← C63 AMG Gearbox Remap! 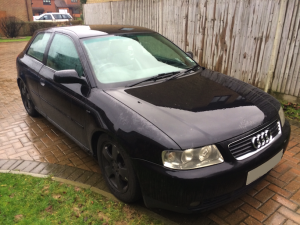 This Audi A3 1.8T 20V suffered an oil pump failure which killed off the original turbo. The customer, much to our approval, decided to replace the standard K03 turbo with a K04. As the car hadn’t been remapped, the net result was a car that didn’t drive well at all, as the levels of boost where all wrong for the turbo fitted. The customer booked the car in with us and we installed our elite ‘race’ remap onto the vehicle so the K04 turbo now boosts properly. The net result is 230bhp with buckets of torque anywhere in the rev range and one very happy customer. This entry was posted in General and tagged a3 remap, audi a3 remap, audi a4 remapping, audi remapping, k04 remap, k04 turbo, kent, uk. Bookmark the permalink.